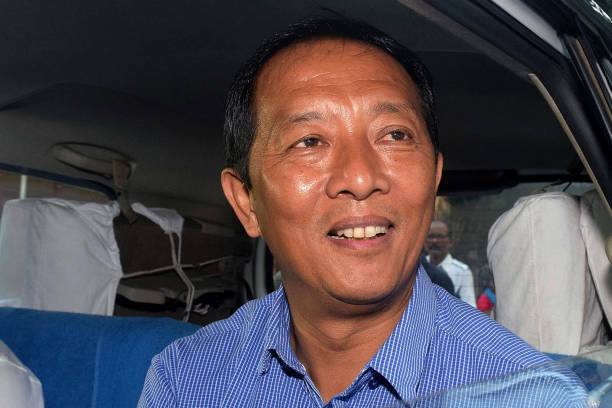 Kolkata: Binay Tamang, chairman of the Board of Administrators formed to run the Gorkhaland Territorial Administration (GTA), visited Nabanna on Monday and held a meeting regarding the preparations of the forth- coming business meet in Darjeeling. For the first time, such a major event has been taken up to attract investment and to revive the economy of the Hills. The business meet is going to be held on March 13 and 14. Chief Minister Mamata Banerjee will be inaugurating the business meet. Banerjee is also scheduled to attend the business meet on the concluding day as well. Sources said that Tamang went to Nabanna and held a meeting with concerned senior officials of the Home and Hill Affairs department, in connection with the preparation of the forthcoming business meet. The meeting continued for a few hours and crucial matters including arrangement for delegates and security arrangements have been discussed. The positive facets about the region will be highlighted in the business summit. There was also discussion on the key areas of the Hills, that can help in attracting investments. The people of the Hills have welcomed the move of organising the business summit, with expectation that it will be a platform where top industrialists from all over the world will be coming to explore the potential of the region. It may be mentioned that the Mamata Banerjee government has been extending all sorts of support for development of the Hills and development work has been going on in full swing since peace was restored in Darjeeling. Binay Tamang, chairman of the Board of Administrators formed to run the Gorkhaland Territorial Administration (GTA), visited Nabanna on Monday and held a meeting regarding the preparations of the forth- coming business meet in Darjeeling.